On our auto glass crack repair page we talked about when a crack gets too big, replacement is the only option. This is because the windshield provides about 60% of a car cabs structural integrity if there is a roll over. When the car cab collapses this can cause serious injury or death. We offer very affordable auto glass replacement options so you can drive with confidence. Our certified mobile crew is very experienced and will get your auto glass replaced quickly and accurately so you don’t have any down time. A lot of insurance policies actually pay for this so there is no cost to you. Call one of our friendly representatives for more info. We work with all insurance providers. 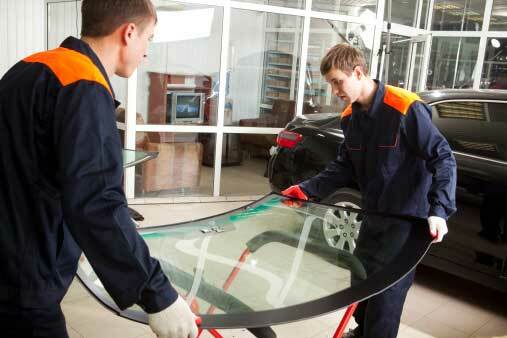 Alfa Auto Glass’s automotive glass replacement experts can have your vehicle back on the road again in no time. Our team of experienced professionals only use the highest quality materials. Our superior workmanship ensures that we get the job done quickly and accurately – the first time.